Jessie Welsh joined the Children’s Chorus of Greater Dallas as accompanist in 2017. She was awarded the 2017 Paul Velucci Piano Award at SMU Meadows School of the Arts for her commitment to excellence in her piano studies. She has served as interim piano faculty at the SMU Piano Prep Department and as the Assistant Director for SMU’s Institute for Young Pianists. Currently, Mrs. Welsh teaches at her private studio in the Lake Highlands area and at the Centre for Musical Minds in Frisco. 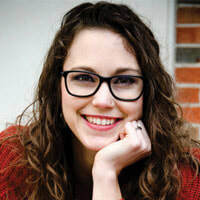 She is an active performer, teacher, collaborator, presenter, and church musician in Dallas, with special interests in piano ensemble, group teaching, and practice habit development. Mrs. Welsh has presented at the National Pedagogy Symposium and the MNTA National Conference, and she has been published on Clavier Companion's website. Mrs. Welsh holds a Master's in Piano Performance and Pedagogy and a Master’s in Piano Performance from SMU, as well as undergraduate degrees in both Piano Performance and Music Education from the University of Central Florida. She is a member of MTNA, TMTA, DMTA, and Pi Kappa Lambda.